Education is not what it used to be, as knowledge is obtained and our students require more skills, new ideas and concepts come into play. A shift has occurred, inquiry based learning, appropriate use of technology, life long learning skills, and differentiated learning are helping students prepare for their futures. The Common Core Standards, TPACK, 21st century skills, and Universal Design For Learning, provide the framework for effective educational transformation. 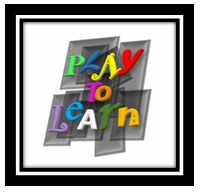 Many game based learning programs and apps are aligned to Common Core! Click to learn more! Critical thinking, finding and evaluating information, creativity, collaboration, and communicating are all very important! Does game based learning feature these skills? Click to learn more! TPACK- Technology and Lesson design! The teacher plays an important role in the delivery and application of technology through game based learning. Click for more information! Education should be accessible for everyone! Game based learning provides a platform that allows students with different needs to access content in a way that is relatable and productive for each individual. Click to learn more about Universal Design for Learning (UDL)!